Applications are now open for workshop retreats at Djerassi including Writing Your Book-Length Narrative with Jane Vandenburgh, Flash Points Fiction Writing with Laurie Stone, Writing the Debut Novel the Non-MFA Way with Heidi Durrow, The Extended Now with Ian Winters, Environmental Life Writing with Ann Fisher-Wirth… And of course my workshop, now for a third session, Young Adult Novel Writing… with me! These ads will run in the Writers Digest 2015 Yearbook, on sale November 11, 2014 (the full-page ad) and in the Poets & Writers November/December 2014 issue (the half-page ad). 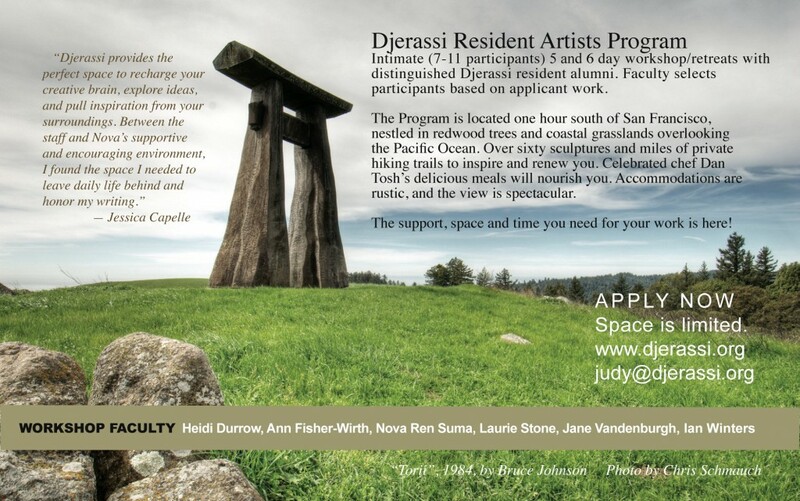 The Djerassi Resident Artists Program really is this beautiful, and I hope these ads entice many writers to apply to our workshop retreats next year! 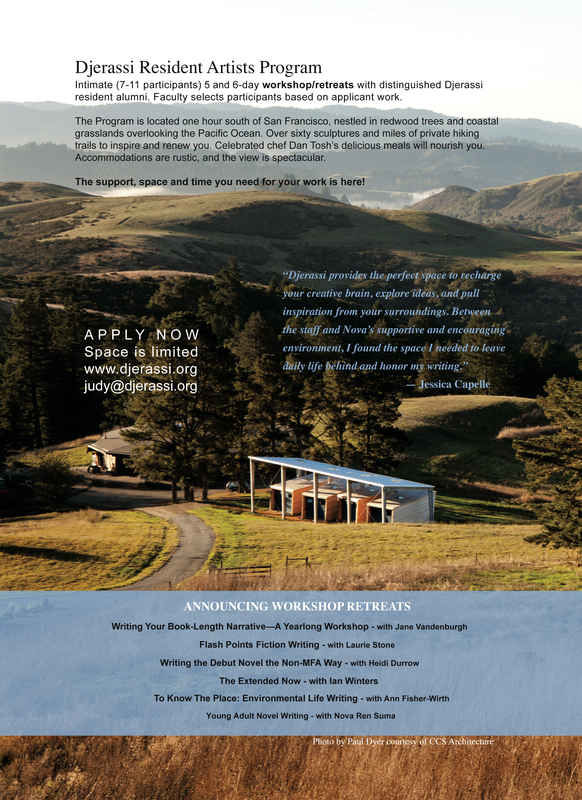 If you are thinking of applying to my workshop, the deadline is February 26!